Once again we're back at one of suburban Vegas' finest coffee spots, eating food. I never plan to eat a sandwich at a coffee shop due to the risk of eating something that might have been made days ago, but Sambalatte keeps things relatively fresh. 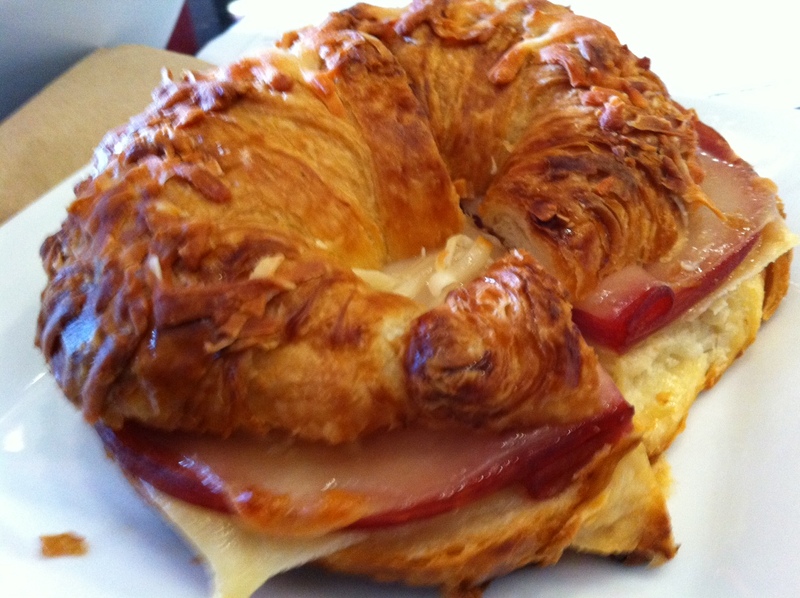 The croissant is wonderful, a warmed-up, flaky, buttery bite of splendid sweet-and-savory pleasure. There's nothing more to this sandwich than average slices of swine and melty Swiss, a fine combination. Not bad.